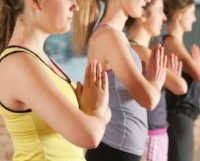 Our yoga classes for 12 - 16 year-olds (10 and 11s may join on application) teach the basic principles of yoga through fun, engaging and structured classes. The students will learn to develop body awareness, co-ordination, strength and mobility, as well as learning skills in self regulation through yoga postures, breathing practices and relaxation. All whilst having great fun and making new friends! Eridani is down-to-earth, dynamic and enthusiastic with years of yoga experience, including time spent in an ashram in India. 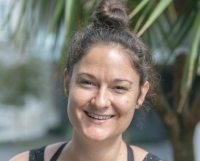 She peppers her teaching with stories from yogic mythology and puts a lot of creative energy into her class plans; teaching both the physical and mindful aspects of yoga in a way that lands really well with this age group. The classes run for eight weeks. You can book for all eight or we do allow for drop in attendance. The classes are structured as such that it is not a pre-requisite to complete all eight consecutively. Please download and complete the Registration form and bring it along with you.